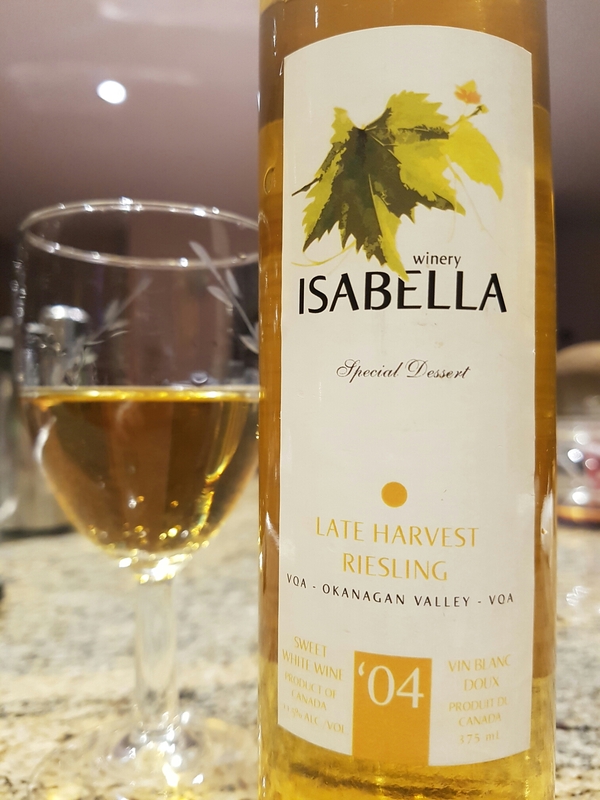 Late Harvest Riesling 2004 – Isabella Winery (Richmond, BC, Canada) | Justintoxicated. Visual: (cellared for 12 years), composite cork still intact. Pours clear golden apple juice yellow. 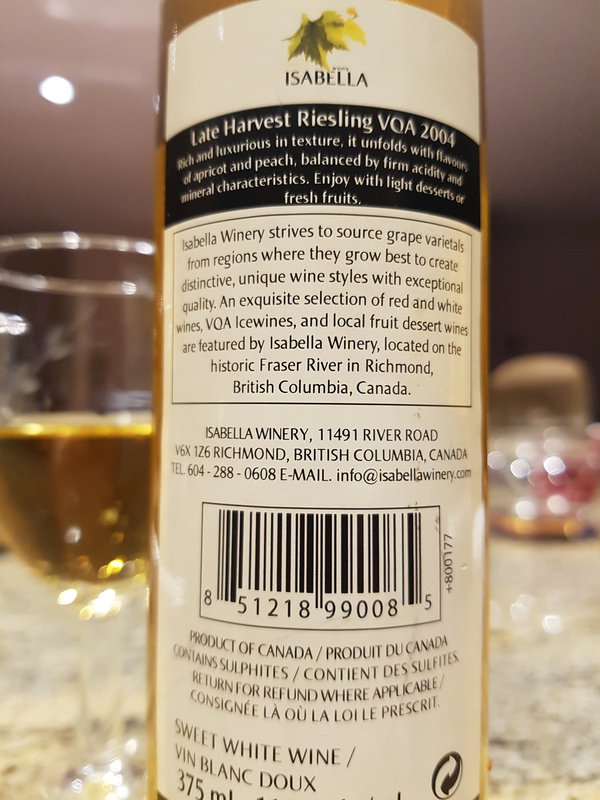 Summary: Too much alcoholic heat, deficient tropical fruity brightness for a Riesling, too much astringency in the acidity. It lacks poise and refinement. A poor effort.